John Quincy Adams, the sixth president of the United States, once said, “If your actions inspire others to dream more, learn more, do more, and become more, you are a leader.” Jared Smith, the current Fedora Project Leader, is one such exemplary person who has led and motivated several communities, groups, teams, and individuals in the Open Source ecosystem. 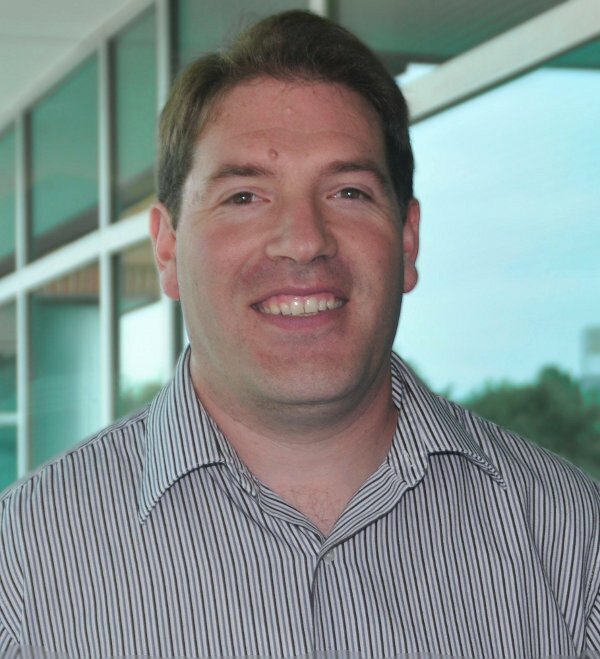 He has helped them to learn, evolve and contribute, meaningfully, to the pool of open source resources. Vandana Sharma of LINUX For You bureau caught up with Jared to learn about the principles and practices that have driven and inspired him over the years in his career as an free software practitioner and evangelist. Jared also talks about his role at the helm of the Fedora Project, the future of Linux and open source, his expectations from the next generation of developers, and the relevance of their role in shaping the the future of free software. I was introduced to open source software by a friend while I was a university student. The more I looked at it, the more I found I was able to use it to solve various problems. Later on I learned more about the philosophy of free software and the principles of open source. When did you join Red Hat and what kind of projects have you worked on there? I joined Red Hat in July 2010. My job at Red Hat is to lead the Fedora community. On a day-by-day basis that means making sure that Fedora is advancing forward, ensuring that communications are strong between the various groups within Fedora, helping to mediate when conflicts happen, and making sure that Red Hat continues to give the Fedora community the respect and resources it deserves. What has your contribution been to the Fedora Project? I’ve been a user of Fedora since it split from Red Hat Linux but it wasn’t until the past four years or so that I really started to become an active contributor. Most of my early contributions were the testing of pre-releases and bug reporting. Then I joined the Fedora Documentation Team and helped out with writing documentation, improving the workflow, and helping the team move to newer tools. I have helped to set up some VoIP services for Fedora. I’ve also spoken at various Fedora events on a range of topics. As the project leader, what are the key goals that you have set for the project and what kind of best practices have you brought into the product development cycle? Our vision statement sets our long-term intentions for the project, but we also have short-term goals we’re working on as well. We’re focused on making the communications within our community better, as well as making the Fedora community a more welcoming environment for those who might be joining us for the first time. What are the significant recent developments in the Fedora project? Fedora continues to be a pioneer in technical innovation. Each release brings the latest of what’s new in free and open source software. Fedora 16 delivers the latest GNOME 3.2 desktop environment (with several alternative desktops available as well), better integration with the systemd initialisation system, several updated tools for virtualization and cloud computing, as well as technical previews of the BTRFS filesystem and Java 7. We’ve also made developments on the human side of our community. We continue to increase the number of Fedora events held every year, including our Fedora Activity Days (known as FADs) and our Fedora User and Developers’ Conference (known as FUDCon). This year we’ve had four FUDCon events — one in North America in January, one in Latin America in May, one in Europe in October, and one in India, in November. It has been reported that Fedora 16 “…has better offerings, benefits and technology than Fedora 15, which was released 6 months ago.” Could you tell us what is “better” in Fedora 16? Fedora 15 shipped with the GNOME 3.0 desktop, which while innovative, still had a few rough edges. Fedora 16 ships with the GNOME 3.2 desktop, which offers quite a number of improvements over the earlier version, including online accounts, a new contact manager, and a new document manager. It also offers a new on-screen keyboard. In addition to the desktop changes, we’ve also updated a number of internal items in Fedora 16. For example, in Fedora 15 we moved to the systemd initialisation system, but it wasn’t running very many of the services using native systemd unit files. In Fedora 16, we converted the majority of the core services to using native systemd configuration files. Red Hat stated that, “India is a hot-bed for open source community development, and is second only to the USA in open source contributions to the Fedora project.” Please share a few specific details on the quality of contributions and other observations regarding the Indian community that contributes to the Fedora project. Our user and contributor base in the Indian subcontinent is very active in Fedora and continues to grow and develop at an amazing pace. 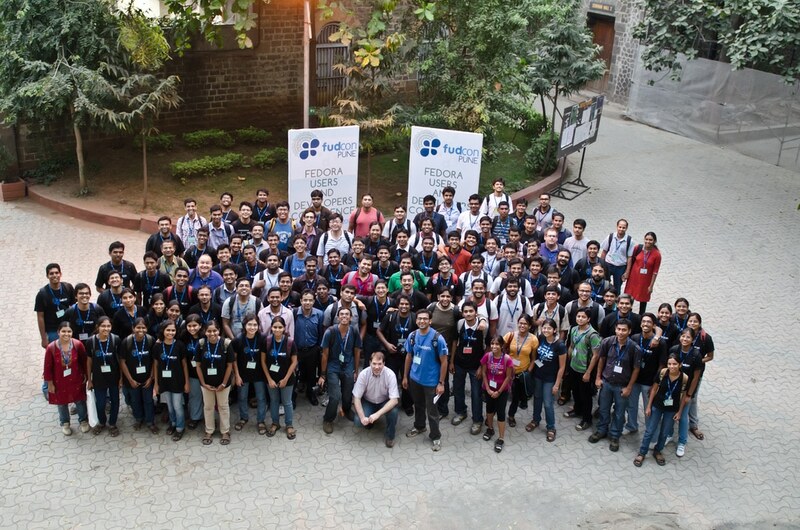 In November, we held a Fedora Users’ and Developers’ Conference (FUDCon) in Pune, India with more than 500 attendees, making this the largest conference ever. Fedora contributors from India help in all aspects of the development process, including writing code, packaging software, testing, writing documentation, doing translation and internationalisation, artwork and design, and marketing. Based on your experience and interaction with the Indian community, what are your observations related to India’s FOSS ecosystem? focus on high-tech jobs and the willingness to work hard, combined with the high costs of proprietary software, make FOSS a perfect fit. I’m sure we’ll continue to see very strong adoption of FOSS in India. Fedora releases are known for missing deadlines. Any reasons why this trend continues? While Fedora attempts to stick to its schedule, the important thing to note is that Fedora releases are criteria-based releases not time-based releases. We purposely put a checkpoint into our schedule at the time of Alpha, Beta, and Final release so that our quality assurance can test to ensure the releases meet all of the release criteria. If a particular release doesn’t meet all of the criteria, we would rather delay the schedule by a week and try again rather than release a product that doesn’t meet our quality standards. In the last few years, Linux has consolidated its stake in the server market. However, there’s some way to go when it comes to the desktop adoption of Linux distributions. What are the key reasons behind this and do you see this trend reversing anytime soon? now, and yet we still haven’t seen it. I think there are a number of reasons for this, including the entrenched position of the dominant players in traditional desktop operating systems and applications. As more and more applications move from a desktop-centric model to a Web-based model, I think we’ll continue to see small but consistent gains in desktop adoption of Linux. Are you planning to make Fedora 16 popular on the desktop front? We always try to make Fedora appealing to tech-savvy desktop users. Over the past couple of years, we’ve seen great strides being made in most of the desktop environments supported in Fedora. We’ve also worked to integrate the various pieces of the desktop environment to help provide for a more cohesive experience between applications. Apart from Fedora, which are the other key global open source projects to which you have contributed? Earlier in my career, I made quite a number of contributions (both in terms of documentation, code and evangelism) to Asterisk, the most popular open source telecommunications platform. I’ve also made patches for a number of other programs and contributed quite a number of bug reports to myriad open source projects. Please share a few details about your book Asterisk, The Future of Telephony. How is the future of telephony likely to evolve and what role will the open source technology stack play in this evolution? After starting the Asterisk Documentation Project and successfully writing quite a bit of good Asterisk documentation, two friends (Leif Madsen and Jim VanMeggelen) and I decided to write a book on Asterisk. At the time, we subtitled the book The Future of Telephony. Since then, open source telephony has exceeded even my wildest expectations and now powers a very significant portion of the new telephone systems installed today. Leif and Jim have gone on to write a follow-up to the book but it no longer says “The Future of Telephony” because the future is squarely here now. Apart from technology, what are your other interests and how do they help you in your pursuits as the Fedora Project Leader? I know some people are drawn to a very charismatic leader for their project, but I like to think of myself as an ordinary person outside of the world of free and open source software. My other interests include reading, hiking, spending time with my family, and singing in a church choir. I’ve also recently taken up photography and am slowly getting to the point where I’m not completely embarrassed to post some photos online. Could you share a few insights regarding the cutting-edge technology projects in the Linux space that are currently under way? What is your involvement with them? I don’t have the time these days to spend much time programming, but I do see myself as a catalyst to help drive development in other ways. I try to help get the right people sharing ideas, help the next generation of developers learn the tools and skills they’ll need, and inspire people to take a more active role in the future of free software. Often people say that while open source solutions are available at a low cost or for free, the support cost or the service engineers hired to run the show are a scarce resource, and the overall costs of running the IT infrastructure on open source solutions is ultimately higher than the proprietary solutions. What is your take on this perception? You could argue that the overall costs of an administrator who understands open source might be slightly more expensive. My own experiences have shown that open source administrators scale better. Just as one piece of anecdotal evidence — I previously worked at a company where we had a staff of six or seven full-time administrators managing over 6,500 Linux servers and all the related networking. At the same company, we had four or five full-time administrators managing the company’s dozen Windows servers. I don’t expect everyone’s experience to be the same as mine, but I don’t give much credence to the notion that the total cost of ownership is higher for free/open source solutions. There is a view that it is difficult to make money around FOSS. What is your take on this? Of course it’s difficult to make money around FOSS. I’d argue that it’s difficult to make money around software in general, and doubly so in FOSS because you have to go out and prove your value every single day. You don’t get to take short-cuts or play marketing tricks to convince people to buy the latest version of your software. The transparency in FOSS means any one of your competitors can see what you do and how you do it and try to do it better. There’s no “secret sauce”. That being said, there are a number of profitable open source companies that are successful because they understand the dynamics of FOSS and consistently prove their value day after day. I consider myself very privileged to have been able to work for two such companies over the past few years. What would be your advice to young FOSS professionals who want to build businesses or careers around FOSS? I think it’s naive to think that a future employer won’t search for your name on the Internet before calling you in for a job interview. What better way is there to impress your future boss than to have your name out there associated with development of code you are passionate about and working as part of a team? What are the advantages of working on open platforms and using open source tools for software development? What key advantages does the open source stack offer vis-a-vis the proprietary ones, in relation to: individual developers/programmers as well as software product development teams or organisations. Software developers are problem solvers by nature. They enjoy the art of seeing a problem, planning a solution, and writing code that solves the problem. At the same time, they get annoyed at anything that gets in the way of trying to solve the problem. Free and open source tools give developers the transparency to dive into problems that they wouldn’t be able to tackle in a proprietary “black-box” solution. I can’t tell you how many times I’ve seen developers wish they could somehow fix a problem in a proprietary compiler or library. For organisations and teams, it’s even more vital, because as the size of the teams grows, so does the level of communication required to keep people up to date with the latest information. My own experience has been that in proprietary software teams, any given piece of code might get reviewed by two or three people, if you’re lucky. In open source projects, that number tends to be much higher. And, even if you’re using open source tools to build proprietary software, the ability to get lower-level insight into how the tools are working — and the flexibility to change them — keeps programmers productive. Are there any pitfalls when working on open source platforms? If so, how can these be dealt with? Sure. Open source isn’t always the most efficient software development model. It just happens to be the only one I’ve found that is sustainable over the long run. Obviously, the other potential issue with open source platforms is that because people have a voice in how the software is developed, you tend to see a lot of heated discussions between people who are very passionate about the software they are working on but have differing opinions. Unfortunately, the tone of these discussions often scares off the very people who are willing to help make the software better. You have been an avid speaker at many FOSS events. Which are the subjects that particularly interest you — the ones that you would like to advocate to the audiences you address? Yes, I very much enjoy speaking at FOSS events and getting the opportunity to meet people who put tremendous effort and time into free and open source software. What I most often try to instil in those who listen to my talks is to be bold in your efforts to change the world, but be humble enough to realise that others have the knowledge that might help you in your quest. Another point I’ve been talking about lately is the fact that FOSS isn’t getting as much buzz as it did a decade ago. I explain that this is a very healthy sign because it means FOSS is now so commonplace that people don’t need to highlight it as something odd or as the “shiny new object”. The task before us is to continue on with the same level of enthusiasm, even though we might not be getting as much attention around our efforts. Are there many challenges that open source developers may have shared with you at such events? There are always going to be challenges and problems. Smart people will be passionate about their software, sometimes even to a fault. Companies will try to use shortcuts to gain money at the expense of FOSS users and developers. In the end, however, I’m very optimistic about the future. We’ve already begun to see the fruits of our labour, and things are only going to get better in the years to come. We are celebrating the 20th anniversary of Linux this year. You also have been an early adopter of Linux and FOSS. How would you recapitulate this journey, and how do you see Linux and open source evolving? I see the evolution of Linux and FOSS as a journey of hope and opportunity. Linux started out small and inconspicuous and look how far it has come now. I remember in the early days of FOSS, a lot of effort was put into duplicating the functionality of existing proprietary systems. Today, FOSS is pioneering work in a vast array of different areas and we are the ones pioneering the trail to the future. What is your message to LINUX For You readers (primarily Linux and open source enthusiasts comprising newbies, power users, developers and sysadminis)? My message to your readers would be to be bold and make the decision to take a more active role in at least one FOSS project over the next month. It doesn’t have to be writing code — it could be writing documentation, doing testing, submitting a bug report, helping with translation or internationalisation. It could even be doing artwork, design, marketing or any number of other things. All you need to do is be bold. Stop being passive about FOSS. Don’t be afraid to take that first small step. Then put your other foot in front of the first and you will find joy in the journey. There is a world of opportunity awaiting you. Next articleAadhaar: A Testimony to Success of FOSS in India! Hah, Come on this is impossible 6-7 persons managing these number of Linux Servers..